On Thursday, Pakistan will take the field against England for the 15th time in a test match at Lord's, the home of cricket (16th overall with the one test they played there against Australia in 2010). 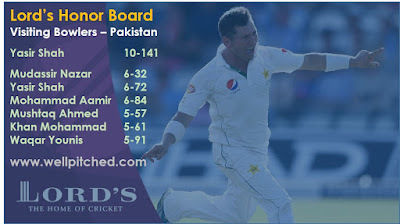 Here is a look at some Test cricket history for Pakistan at Lord's. 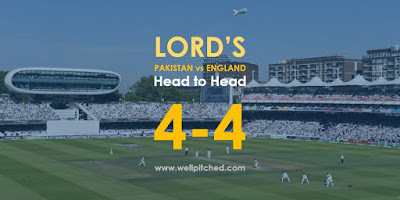 Since 1954, Pakistan and England have squared off in 14 tests at Lord's with 4 wins apiece. Pakistan leveled the playing field by winning the most recent test played at Lord's in 2016. Sarfraz Ahmed will become the 14th Pakistan captain to lead them in a test match at Lord's. Only Imran Khan and Intikhab Alam had captained Pakistan twice at Lord's. 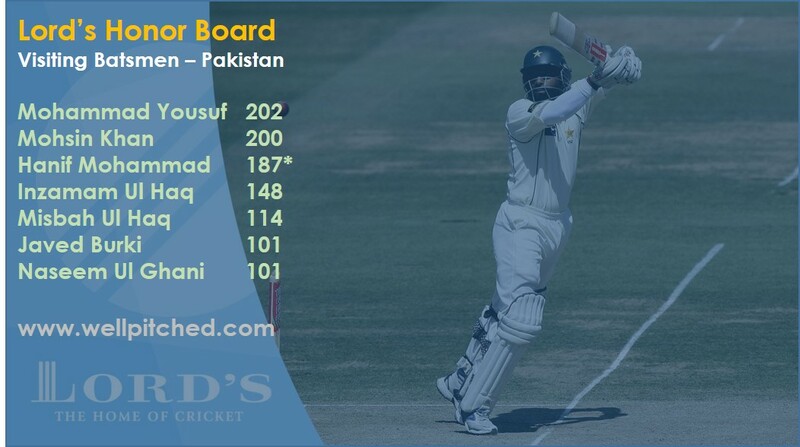 7 batsmen from Pakistan have scored test centuries at Lord's with Mohammad Yousuf's epic 202 in 2006 the highest score by a Pakistani in a Lord's test. Misbah Ul Haq's 114 at Lord's in 2016 is the most recent test century scored by a Pakistan batsman at the home of cricket. 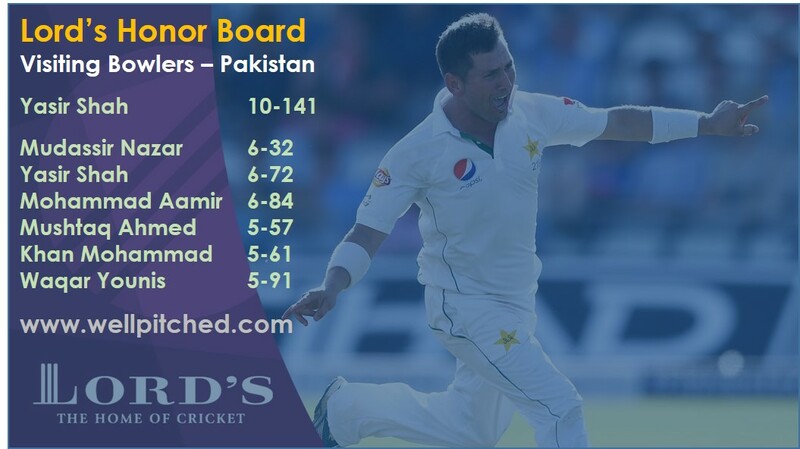 6 bowlers from Pakistan have picked up a 5 wicket haul in an innings at Lord's and 1, Yasir Shah, is the only bowler from Pakistan with a 10 wicket match haul at Lord's, which came in the same test as Misbah's century, the last time Pakistan played at the home of cricket. It is going to be an intriguing contest starting on Thursday. At least 6 players from Pakistan will be playing their first test at Lord's. 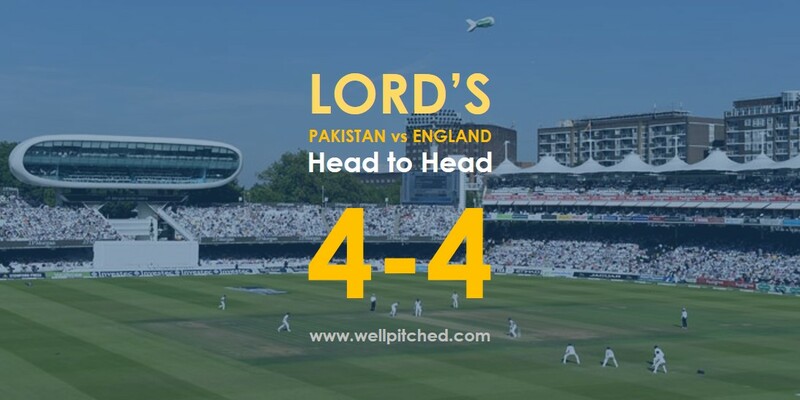 Skipper Sarfraz Ahmed, Azhar Ali, Asad Shafiq, Mohammad Aamir, and Rahat Ali are the only survivors in the squad from the eleven that played at Lord's just two years ago. Azhar Ali and Mohammad Aamir were there in 2010 as well when Pakistan played at Lord's twice - against England and against Australia. Azhar Ali in fact made his test debut at Lord's in 2010. 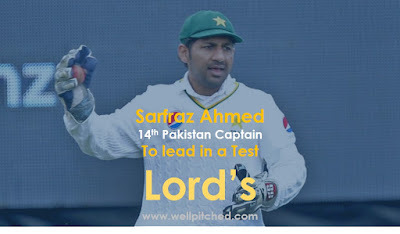 Both he and Aamir will be playing their 4th test at Lord's joining legends like Wasim Akram, Javed Miandad, Inzamam Ul Haq, and Mushtaq Mohammad, all of whom have played 4 tests at Lord's. The most capped test cricketer at Lord's from Pakistan is Wasim Bari who has played 5 tests at Lord's. Performing at Lord's and getting your named inked on the honors board is a dream for all cricketers. From the current squad, Aamir is already there and he would love to get his name there again. For Azhar Ali, this might be the perfect opportunity given he is the senior most batsmen in the side and has finally found some form on tour. Even first timers like Abbas and Imam will be geared up for this moment. I am placing my bets on the teenage leg spinner, Shadab Khan. His performance against Ireland was impressive and with England always suspect against spin, I feel Shadab has a great chance to follow in the footsteps of Mushtaq Ahmed and Yasir Shah. A Pakistan vs England series is always exciting and I can't wait for the action to start at Lord's this Thursday!